Smallholder or backyard poultry rearing is a key livelihood activity for a large number of rural households in South Asia. In addition to small (but sustained) income, small poultry flocks reared by rural households contribute significantly to household food and nutrition security. In Bangladesh, 80 to 90 per cent of rural households are estimated to keep flocks of 3 to 10 birds1. 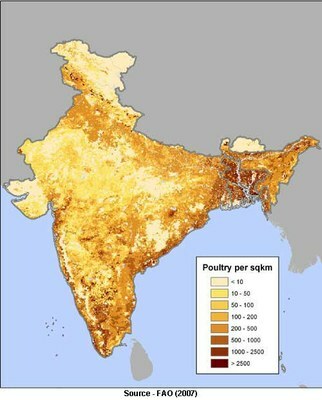 In Bhutan, a majority of rural households keep some poultry birds; and village chicken constitute approximately 86 per cent of the national poultry stock; there are only a few commercial layer farms around major urban centres2. 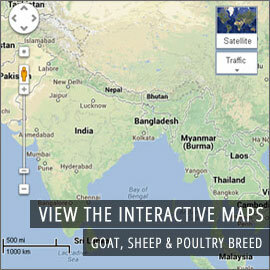 In India, agricultural households keep about 85 per cent of the poultry stock3. Household poultry flocks contribute to rural livelihoods in multiple ways – the sale of eggs is a regular source of income, birds are occasionally sold to meet unexpected expenditure such as school or doctor’s fees and medicines; the consumption of eggs and poultry meat is a valuable source of nourishment for family members; poultry litter is an excellent manure and contributes to enhanced crop/fish productivity in mixed production systems; birds contribute to social and human capital and are often taken care of by women, thereby favouring an equitable allocation of resources within the household. Since 2006, SA PPLPP has documented a range of approaches and field interventions from Bangladesh, Bhutan and India on smallholder poultry rearing. These include interventions that have facilitated access to inputs, health services and vaccination support for smallholder poultry rearers, the formation of collectives of smallholders, and ethno-veterinary practices to strengthen smallholder poultry rearing. An analysis of the data collected in the process of documenting these approaches and field interventions, demonstrates that small but targeted interventions in strengthening smallholder and backyard poultry production systems provide handsome returns (up to over 200 per cent per year) both in terms of monetary income and an improved availability of animal food. These results are due to a combination of interventions that ensure: (i) a regular supply of birds, which can be supported through a smallholder‐based supply chain; (ii) access to reliable veterinary supplies and animal health services, which can be efficiently provided by community based animal health workers, when appropriately selected, trained and supported by animal health assistants/veterinarians; (iii) access to adequate feed resources, with commercially oriented, small‐scale farmers willing to pay for balanced feed rations for their birds; (iv) availability of basic infrastructure, primarily housing for birds and (v) access to reliable markets for live birds, poultry meat or eggs, which is particularly relevant for market-oriented, small-scale poultry producers. The documentation provides evidence that targeted investments in small‐scale poultry farming can be both good economics and good policy. These may contribute to refurbishing the current policy and institutional framework so as to enhance the contribution of poultry farming to the livelihoods of a large share of rural households. Taking forward the lessons learnt from completed documentation on smallholder poultry rearing, SA PPLPP initiated work on policy dialogue and advocacy, and in 2010, in collaboration with Professional Assistance for Development Action (PRADAN), convened a national workshop in India on smallholder poultry rearing. Similar workshops were also convened in Bangladesh (to assess the impact of the two landmark livestock policies brought out in 2007 and 2008, on the livelihoods of smallholder livestock rearers) and in Bhutan (on the conservation of indigenous poultry breeds). Jensen H. A. and F. Dolberg (2003) A Conceptual Tool for Using Poultry as a Tool in Poverty Alleviation. Revised version. Paper delivered at the International Conference on Staying Poor; Chronic Poverty and Development Policy, IDPM, University of Manchester and Dolberg F. (2009) Poultry Sector Country Review: Bangladesh. FAO, Rome. Royal Government of Bhutan (2004) Renewable Natural Resources (RNR) Statistics: National Key Figures. Planning and Policy Division, Ministry of Agriculture, Thimphu, Royal Government of Bhutan (2006) Livestock Statistics 2006. Department of Livestock, Ministry of Agriculture. Thimphu and Narapati D. (2007) Prevalence of Antimicrobial Resistance of Salmonella in Imported Chicken Carcasses in Bhutan. MA Thesis, Chiang Mai University, Chiang Mai, and Freie Universität, Berlin. Government of India (2006a) Livestock Ownership across Operational Land Holding Classes in India, 2002–2003. NSS 59th Round, Report No. 493 (59/18.1/1), Government of India, New Delhi.